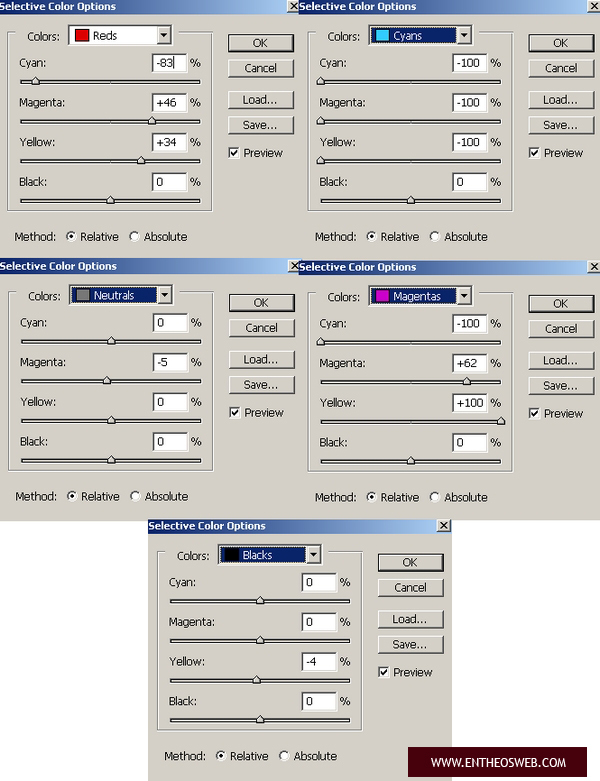 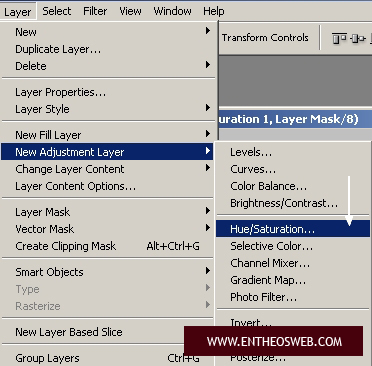 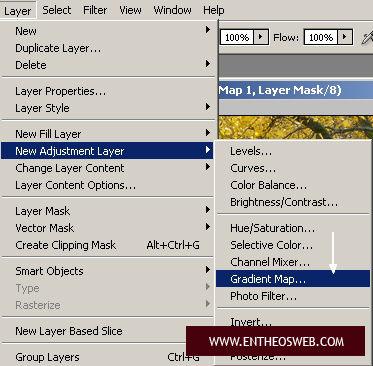 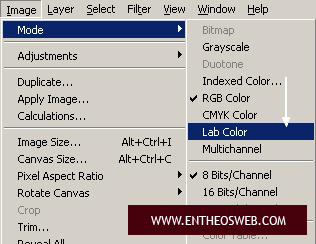 Make a Gradient Map layer (Layer-New adjustment layer-Gradient Map). 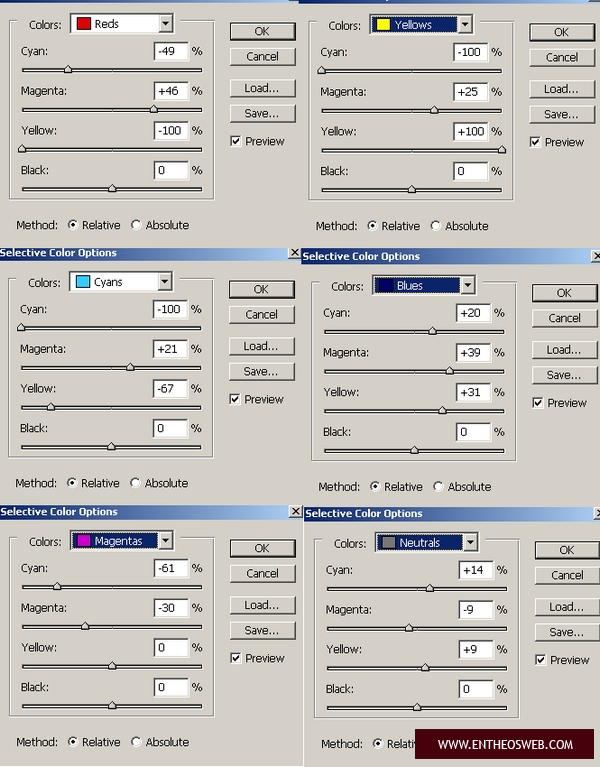 We will add more dark blue and contrast for picture. 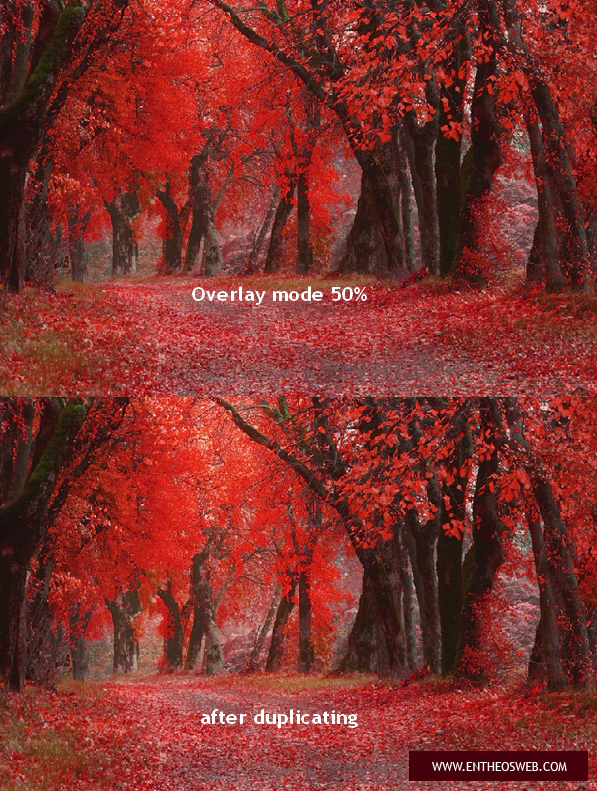 Set this layer to Soft light 100%. 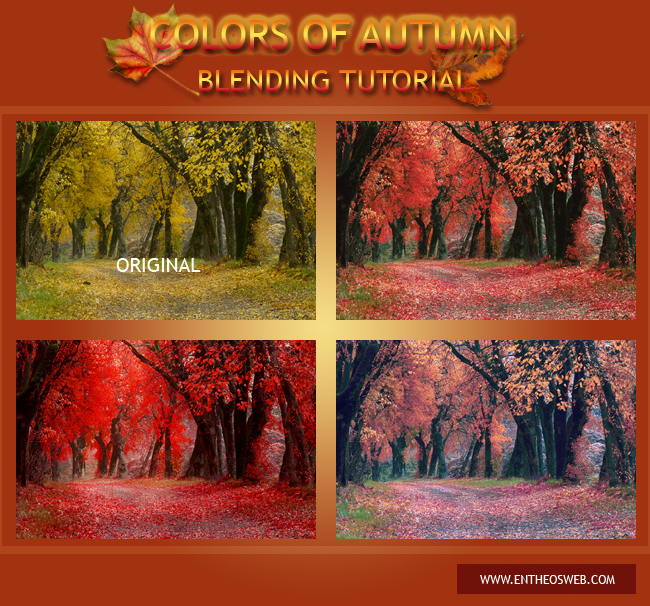 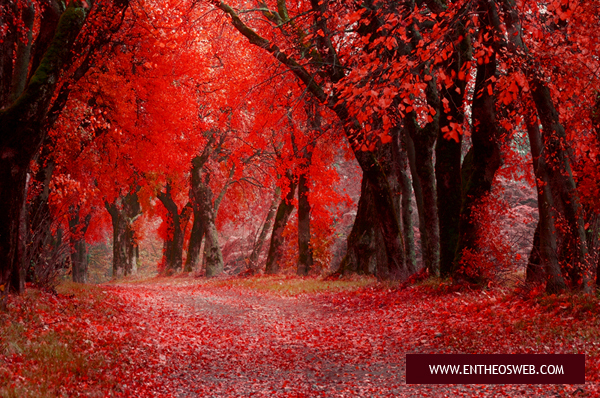 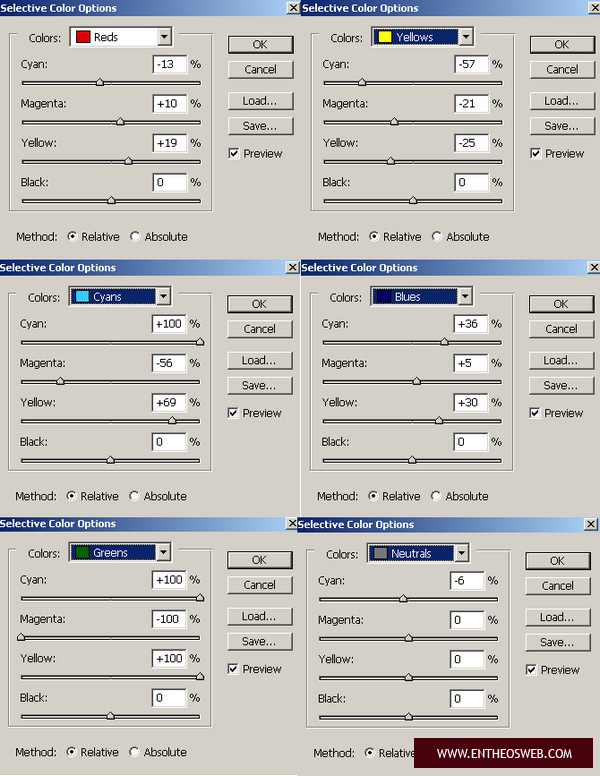 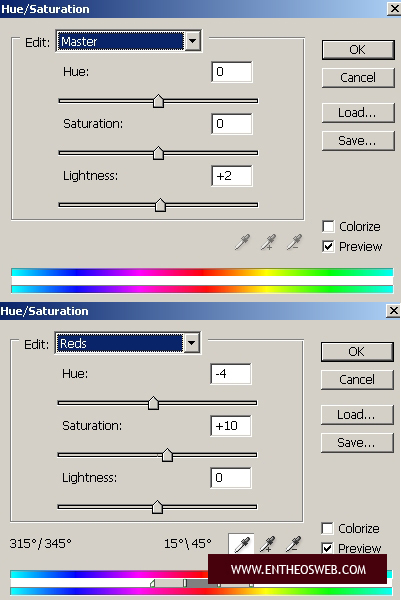 Create a Selective Color layer. 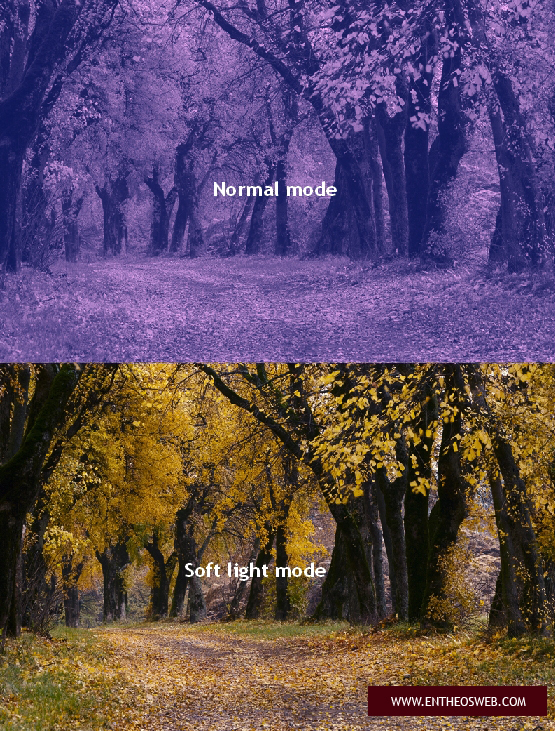 This step is to change yellow tone into pink and light orange also add some cyan for tree body. 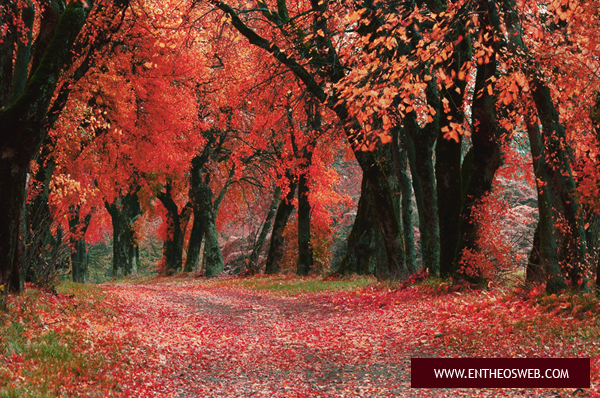 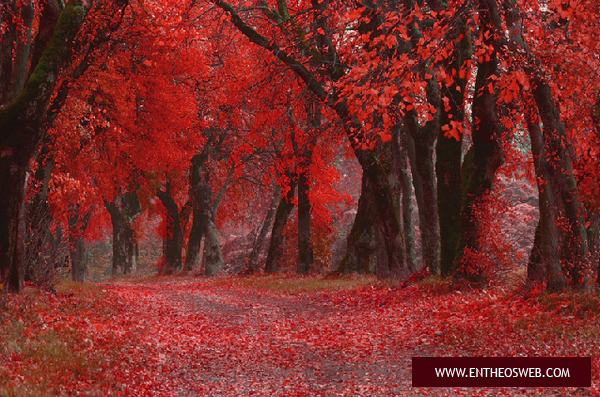 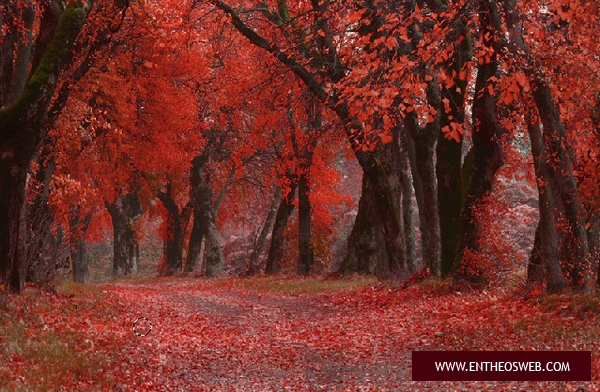 Open autumn photo. 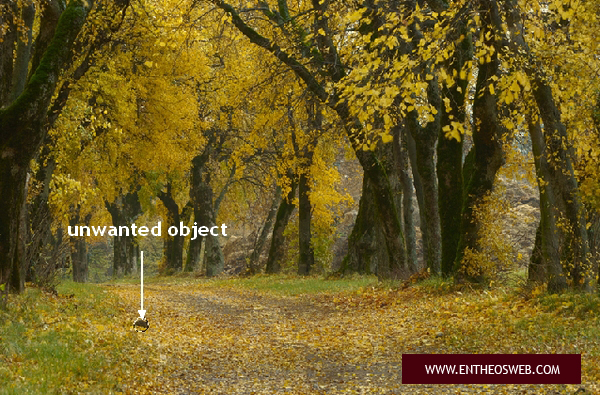 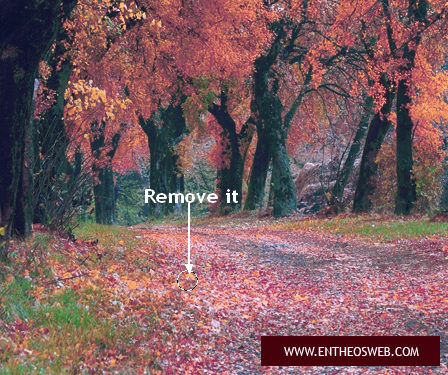 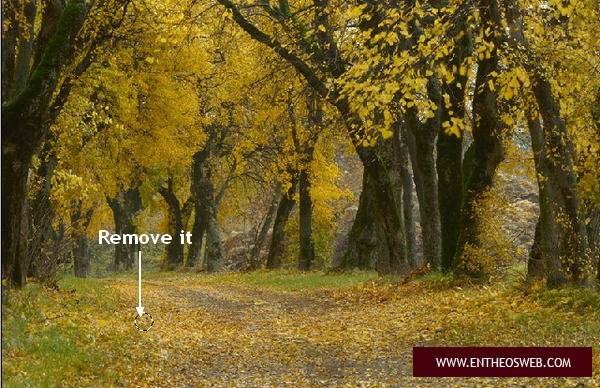 This step is to remove unwanted object as we did in first tutorial. 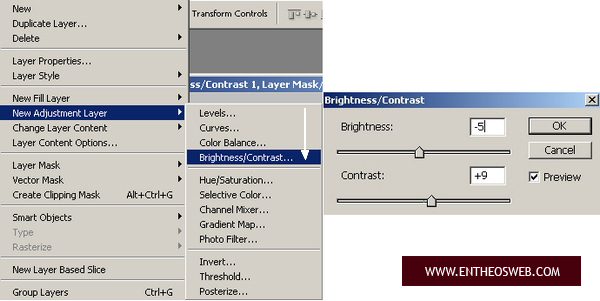 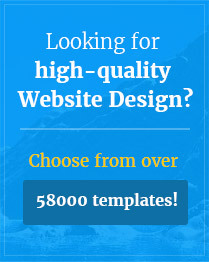 Depending on your picture tone, drag the buttons till you get desired look. 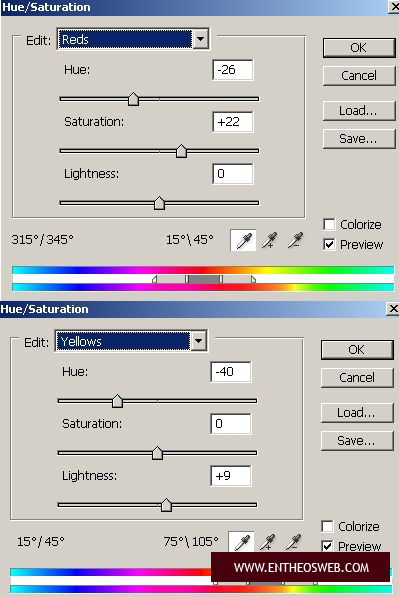 Be careful with Hue/Saturation tool because incorrect value will destroy your photo . 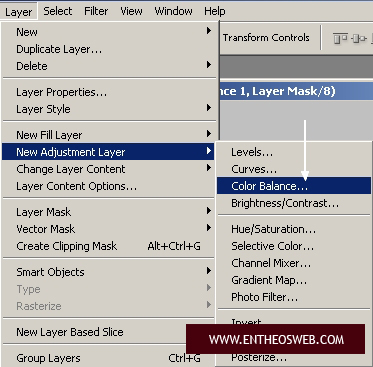 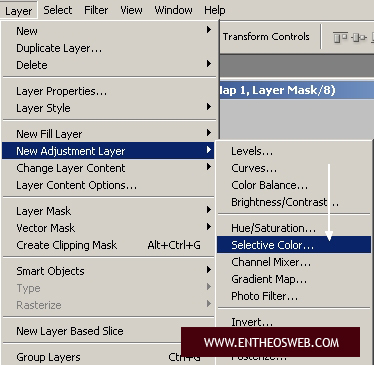 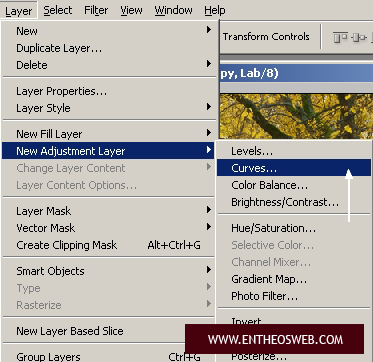 Hit Cmd/Ctrl+Shift+Alt+E to merge all layers. 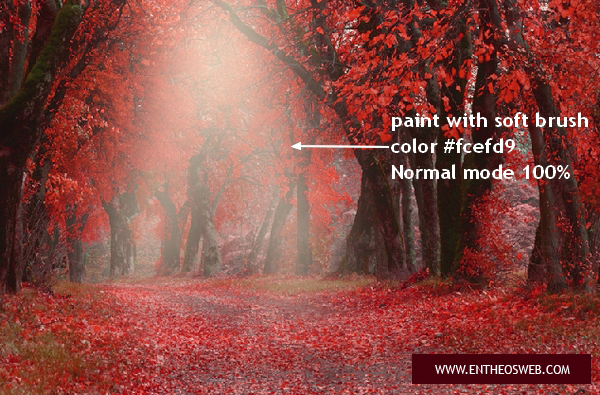 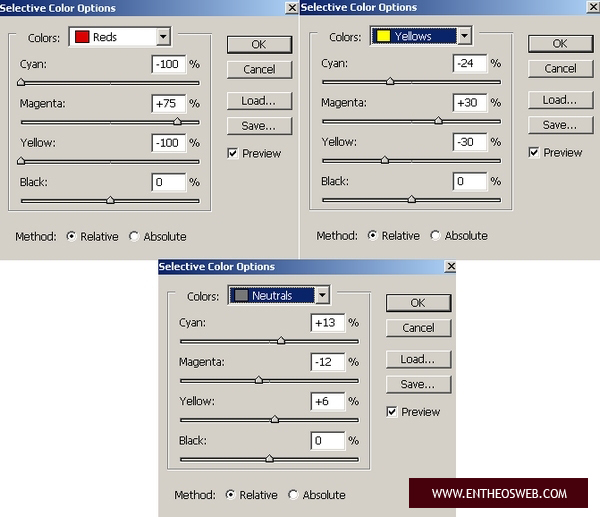 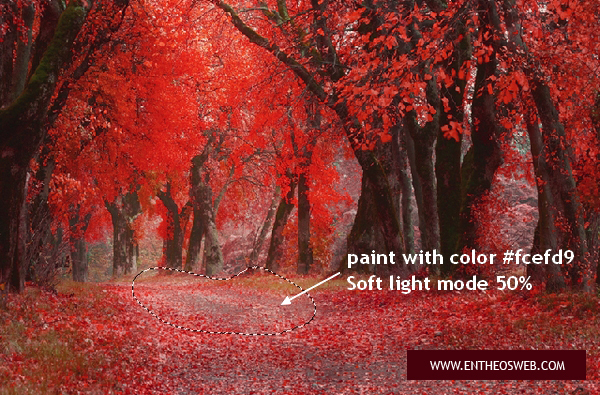 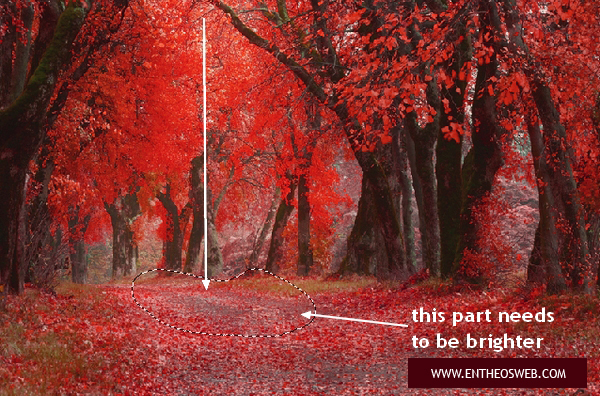 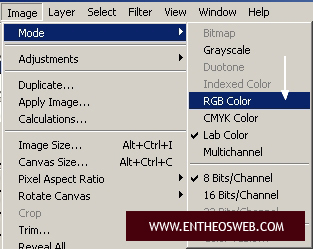 Turn image into RGB color ( Image-Mode-RGB Color) and click OK when you are asked. 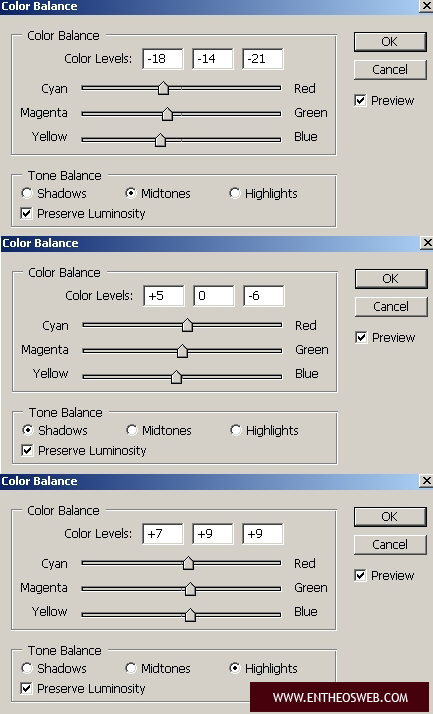 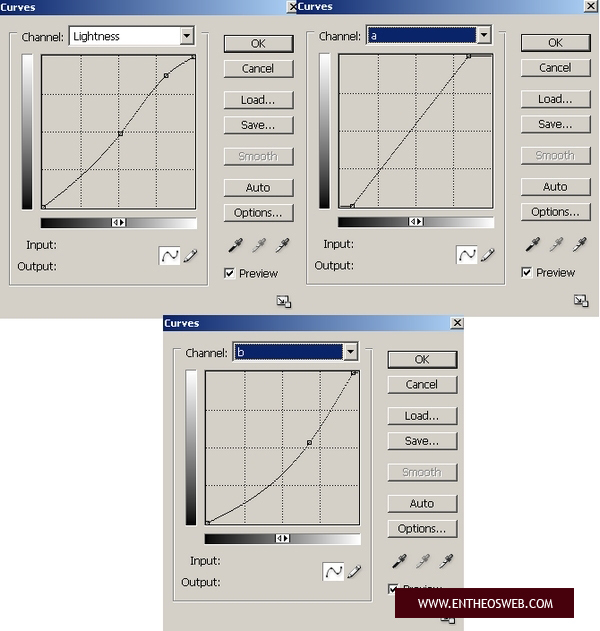 Depending on colors in your picture, adjust channels you want. 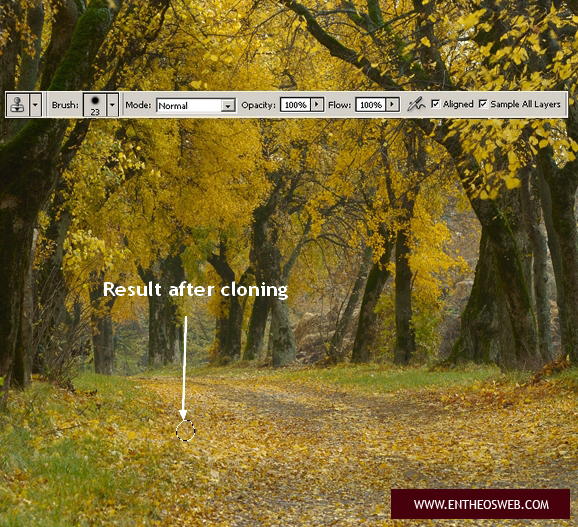 Final step: I use Clone Tool to remove unwanted object as in previous tutorials.